To be honest, I like Adachi Mitsuru all works. But Cross game, I like the most. From there I came across this anime and after watching 24 episodes it even took me quite a lot of trouble to find raws but I am now glad after finishing all 48 episodes that I took all that trouble! The story proceeding is quite slow at start but goes steady after few episodes after 28th episode story paced down a lot but it got better in 3-4 episodes, overall story-wise it was an enjoyable ride. Also Music, Osts, opening and endings I liked a lot especially ending three and after watching whole series I thought it was a little rushed at the end that is the reason for giving 8. While I dont know how it took place in manga but if they took it a little slow at the end, I think this anime had quite potential(still have it though ;D). Art is quite old if you have not watched touch or anime with old art style and dislike this type of art then it is not for you. If you liked H2,Touch and cross game then you do not have to hesitate just go and watch the whole series it will be a lot fun for you. The overall rating I would like to give is 8.0 though it is quite closed to 9(the anime rating I wanted to give this show, I meant) but still 8.5 I think is better. But I think, I am glad I watched this anime it was quite a joyride of emotions filled journey. So I hope that someday it gets completely subbed so everyone can enjoy this series because old is gold! Story: 10. 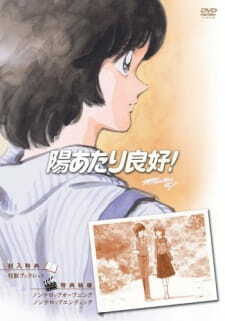 One of the best old anime romances what i have even seen, sport 'story' is not very good on this but its ok.
Art: 9. I like old animes and old arts so thats why i give it 9 :). Character: 10. Well... i like all Characters, amazing.